VT- Karimnagar conducted a cancer awareness camp on 20th October, General Camp at Vavilalapally (Municipal part), 14th Ward Karimnagar. 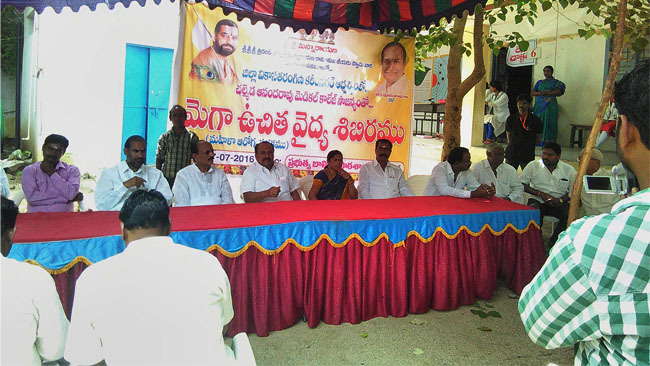 Sriman CH Ayodya Rama Rao, M.Narayan rao, Lanka Ravi (Corporator), Sardar Ravinder Singh (Mayor). Local people from the camp and many other VT Volunteers attended. 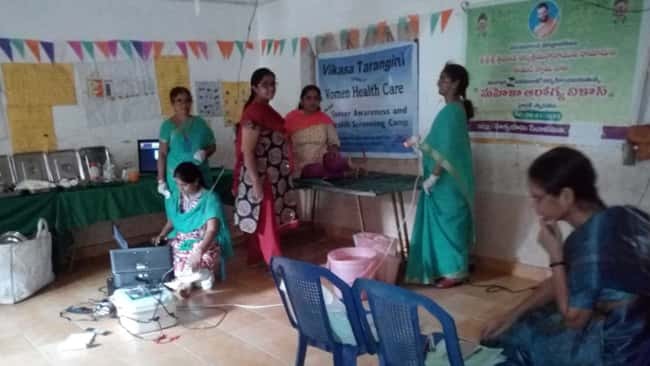 Camp was conducted in co-ordination with Chameda Anand Rao Hospitals, Karimnagar. SHG (Self Help group) Leaders also worked together with VT. This attitude of VT to work together and serve people is going long ways in maintaining a good base for future generations. All the 25 members are taken to hospital and again on Wednesday 25/10/2017 by Providing a bus by Chalmeda Hospitals for required Treatment.